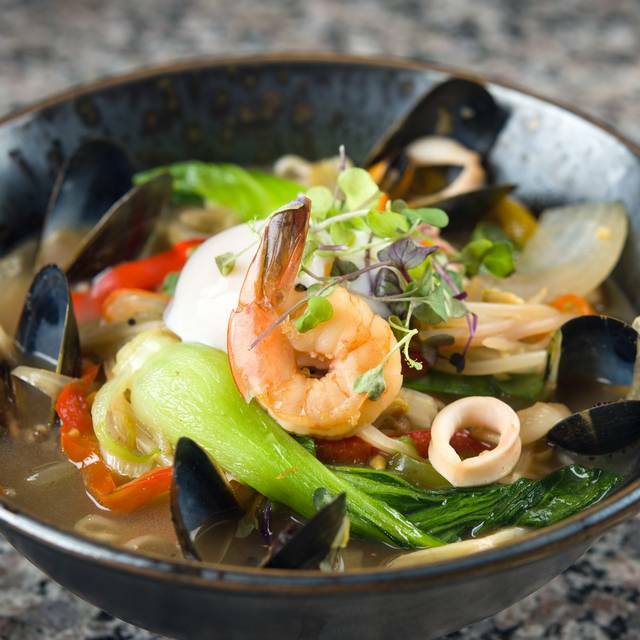 We’re delighted to welcome you to Umi! 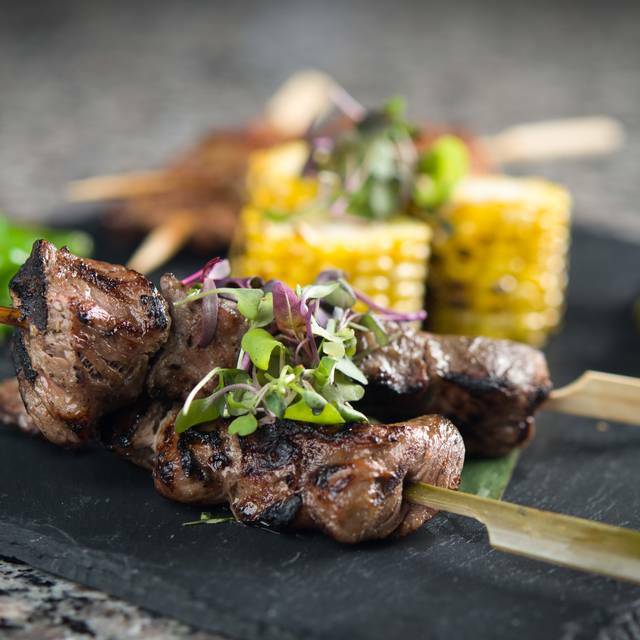 The freshest Sushi & Sashimi in Central Florida, Robata Charcoal grilled meats, seafood & vegetables, guests enjoy a wide variety of exquisite creations. From our house made ginger dressing to the sauces that bring our sushi rolls to life, we proudly make everything from scratch. Fresh fish is flown in from around the world. 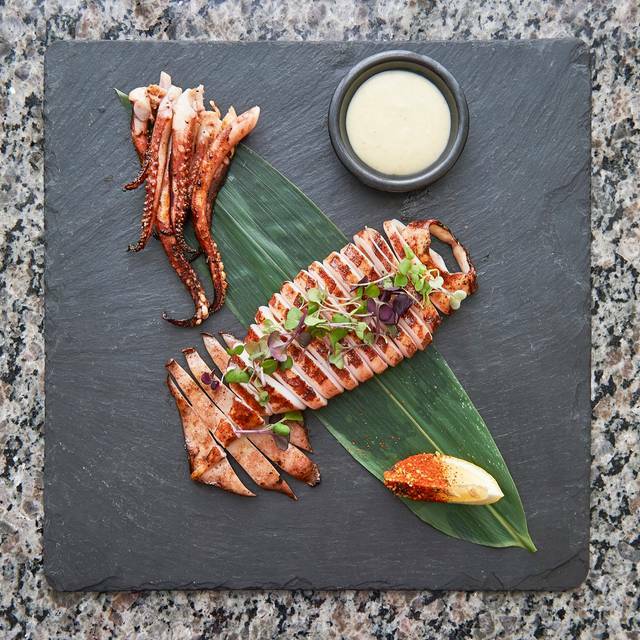 Lead by Chef de Cuisine Joji, our culinary team works tirelessly to bring you specialty inspirations and unique dishes not found in the common Japanese restaurant. To enhance your dining experience, the carefully selected wine list complements our cuisine's flavors. Alternatively, enjoy our wide range of sakes and imported beers. We hope you'll join us soon! We have custom catering available. Please call at 407-960-3993 for details. We do not have on-site parking, but free street parking is available throughout downtown Winter Park. We are located one block away from City Hall, which offers free parking after 6pm on weekdays and all-day on weekends. Additional parking available in the SunTrust Parking Garage at Rollins campus. We had the most amazing meal at Umi. 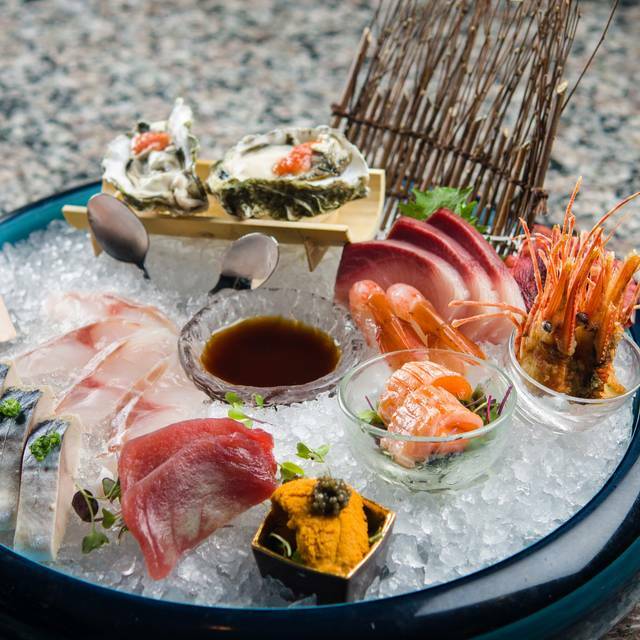 Beautiful presentation, fresh & delicious sashimi and sushi. The tuna and rice crisp .. must have! Delicious, the tuna was so fresh ... The crispy rice , great appetizer!! Louie the server was knowledgeable, fun and engaging! The owner took the time to stop by to ensure we were happy and well fed. A stellar restaurant in Winter Park. If you live there, go often...if you are visiting, make it a stop on your itinerary. Promise you will walk away happy! Is better have an reservation the salmon Robata and lobster lemon salad is amazing!! The food was great - we ordered a tuna appetizer which was delicious, as well as a few rolls and a Yakisoba noodle. However, the service was actually terrible. The server was hesitant and awkward, and there were many different people who brought dishes out to our table, and had the audacity to ask "did you order this?" There's a seating chart for a reason. Everyone was feeling very uncomfortable as the servers all looked confused, would walk into the dining area holding food, look around awkwardly and very confused, and go back and huddle with the other staff, trying to guess where it should go.This awkward experience made us super uncomfortable and feel awkward. Order takeout here - dont dine in. At least 5 other friends who we've spoken to have all had this weird experience here. Excellent food and impeccable service! Our beverages never had a chance to be empty before someone was filling them, and the food was beautifully made & delicious. Best tuna kobachi I’ve ever had! We have 3 kiddos, and I wouldn’t recommend this place for kids- a bit pricey & quiet- perfect for date night. We have been here several times but this last visit was definitely not worth the money. Great food with competent and polite service. Wide range of menus items. 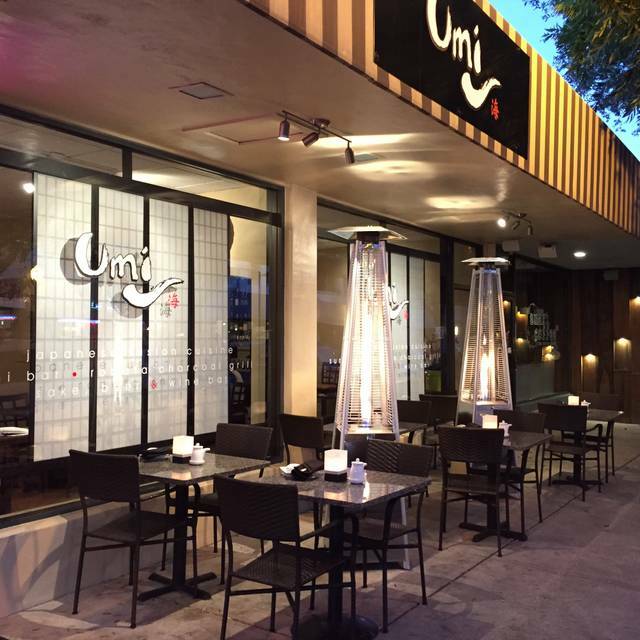 I have recommended UMI in Winter Park a number of times! My recent visit is no exception! W thoroughly enjoyed our meals - their rolls are always fresh and the Sashimi is unbelievable! Recent updates have made the place even better with crisp white tablecloths and an all new wine list that has some great additions. I am excited to try their new Fresh Oyster bar on my return trip! Food and service were both exceptional. Our server was knowledgeable about the menu and very attentive. The food we ordered was fresh, tasty and a good blend of choices from the menu. All around it was a great dining experience. Appetizers were great and the sushi is always good. The chicken ramen broth and meat were a bit plain and not that flavorful. Would definitely recommend the spicy pork instead. Great service and experience as usual though. Loved it ! I will definitely come back ! It’s more suitable for dates and date nights . Everything was great the sushi super fresh and wasabi was kicking. 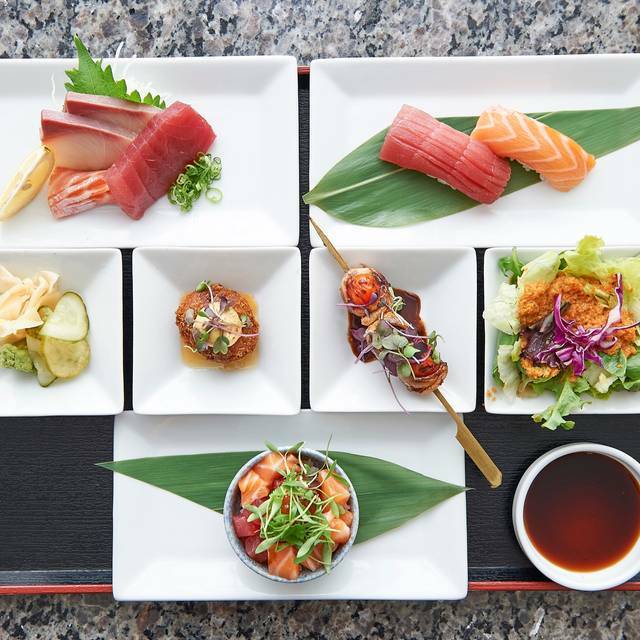 Umi was one of our favorite Sushi restaurants in Orlando. Unfortunately, the last two times we've been there after the new ownership change, the experience, service and food have not been as good as before. The service has been the most disappointing part. On both occasions, the service has been inattentive and does not seem well organized (many of the staff were standing around together not sure what their responsibilities were while we had empty finished plates on our table) . There seems to be no management oversight. Also, there is a lot of turn over with the staff. We didn't recognize anyone same on the staff on both occasions and the staff did not seem happy to work there. In the past, it was nice to be welcomed by the same consistent staff when we went. Overall, the feeling in the restaurant is unwelcoming and one of disorganized and unfocused ownership. We hope they will find a way to regain the quality in service and food that made it a neighborhood gem in the past. Great food in an excellent setting of beautiful winter park. Service was exceptional and the ambiance superb. Umi provided excellent service and delicious, quality meals. Well definitely return! Stay with ordering sushi and not anything else. Maybe it was overpriced because it was in Winter Park. Maybe it was overpriced because it believes most customers are tourists. Great food. Great date night experience. Food and presentation very pleasing!! Check for specials before going in. Would have loved it more if it was not so bright in the dining area, more intimate. Will be back! They’re going through a menu shift and I suppose that comes with it’s fair share of hiccups. What inconveniences my group experienced were reimbursed by way of a portion of our bill being comped. It was a fairly nice atmosphere but the sushi was just ok. The squid was amazing and that made up for some of the lackluster array. It wasn’t a bad dinner or evening, but it’s suffice to say that neither my friends or I will likely return. My partner and I had been looking forward to getting back to Umi since we discovered it not too long ago. This time, we were concerned it had switched owners. The sushi was just okay, the edamame was overdressed. They also mentioned getting rid of their entire wine menu, which was cause for concern about a management/ownership change. Now, it was Halloween, but it was early, and we were almost the only ones there. When we walked up, someone who looked like she could be the owner’s daughter was at a hostess stand up front, and seemed dumbfounded by the fact that we had a reservation. She actually said nothing, and someone behind her ended up walking us in to grab menus. We sat outside, and she was FaceTiming for almost the entire meal. I’m sure it was a one-off, but it was still annoying. We’ll go back to give it another chance since it was SO GOOD the first time, and we’re so hopeful our experience was just because it was a holiday! 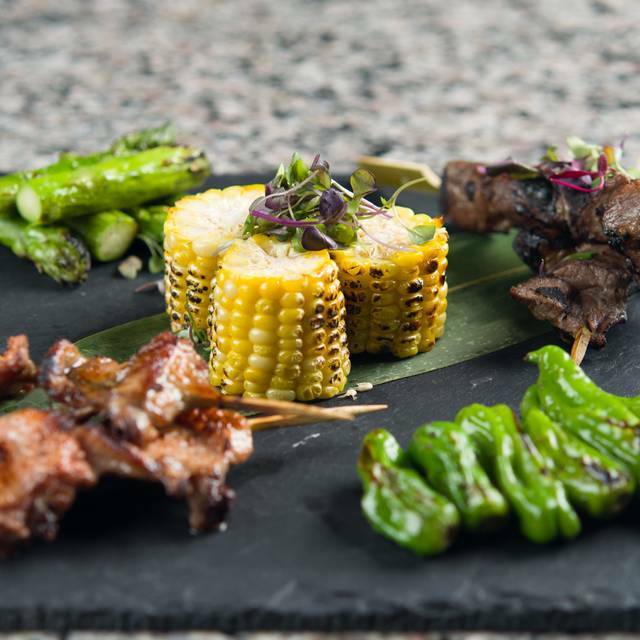 Umi never disappoints, with an inventive and delicious menu there is something for everyone. The staff is friendly and they take the time to make sure you are comfortable with every part of your meal. Highly recommend. One of the best sushi places I’ve visited. Highly recommend to try a plate from each section. Worth it! The food was awful. We ended up leaving the majority of our food on our plates and going home and eating leftovers. 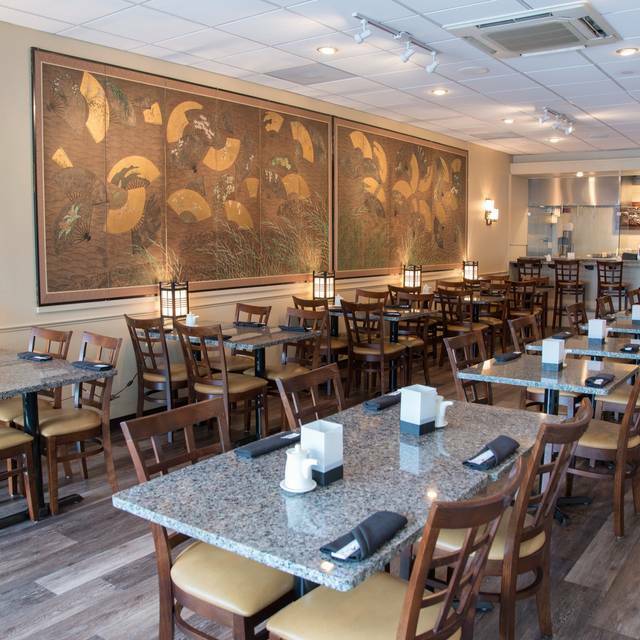 Always excellent service with a wide variety of Asian Fusion, Japanese and Korean food. Sushi and Sashemi is superb. 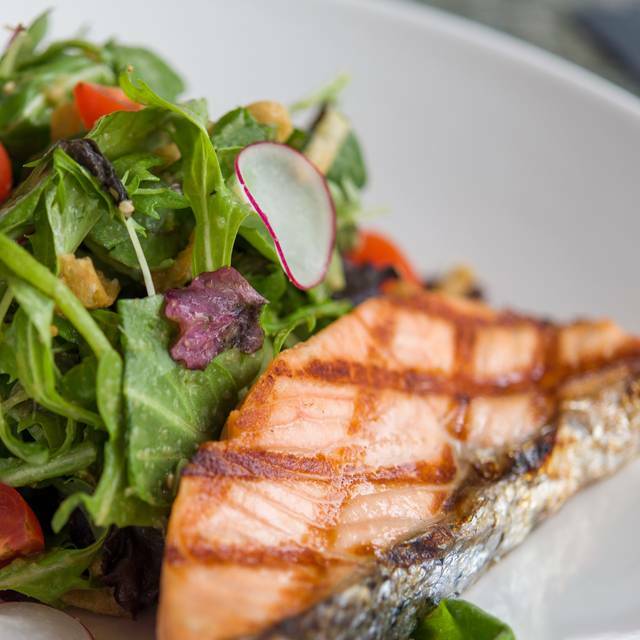 Fresh fish flown in every day. Had a craving for sushi. Had heard about Umi, but never tried it. Since this was the last weekend of Magical Dining decided to go. Still cannot believe what I got for $35. Started with Miso soup. Delicious. Next was a full sushi appetizer. There was a choice of 4. I cannot remember which one I got, but the server recommended, and it did not disappoint. For main course I had the fish, once again for a large selection, which was a white fish that was fried. I do not believe I would order this again as I do not care for fried food, but in any case it was also very good. Finished off meal with creme brûlée. My friend said she thought it was not moist enough, but I really enjoyed it. Had a choice of 3 desserts as well. Overall a really great meal. Would return in a heartbeat. Highly recommend. Server fast, knowledgeable and polite. When we first arrived, noise level quiet since we had an early reservation. As the evening went on it did get loud, but that was only because every table filled up. I do suggest making a reservation. The food was wonderful, my first time ever having sushi and I was very impressed. The waiter was very attentive, but not over bearing. It was a little warm, but they had fans set up, and there's only so much you can do! This used to be a favorite of ours when it comes to sushi. However, last night was horrible. The only thing I can say good about the experience was the waiter was nice. The food was the worst sushi I’ve ever eaten and the drinks while good didn’t come out until after our meal. Took quite a while to get our rolls but boy were they divine!!!! Unfortunately went during the Magical Dining season. Appetizer took close to an hour to receive despite ordering within the first 15 minutes of arriving of our reservation. The sushi is by far their best asset for cuisine, their other warm cuisine options didn't fare as well. They might be better to have a meal not during the magical dining season, will have to try them again to see if the service is still fair or improved. Always great food with new and innovative items added on a regular basis. This was actually our 2nd time there in a week since finding Umi. Sushi was fantastic! the place must have been 85 degrees inside. the food is good the wait staff was good. Local sourced food/no.